Feng Shui Ba Sha, most Feng shui enthusiasts know about there is yearly Feng Shui San Sha (三煞) or three killings. Feng Shui San Sha is a very bad Sha Qi. 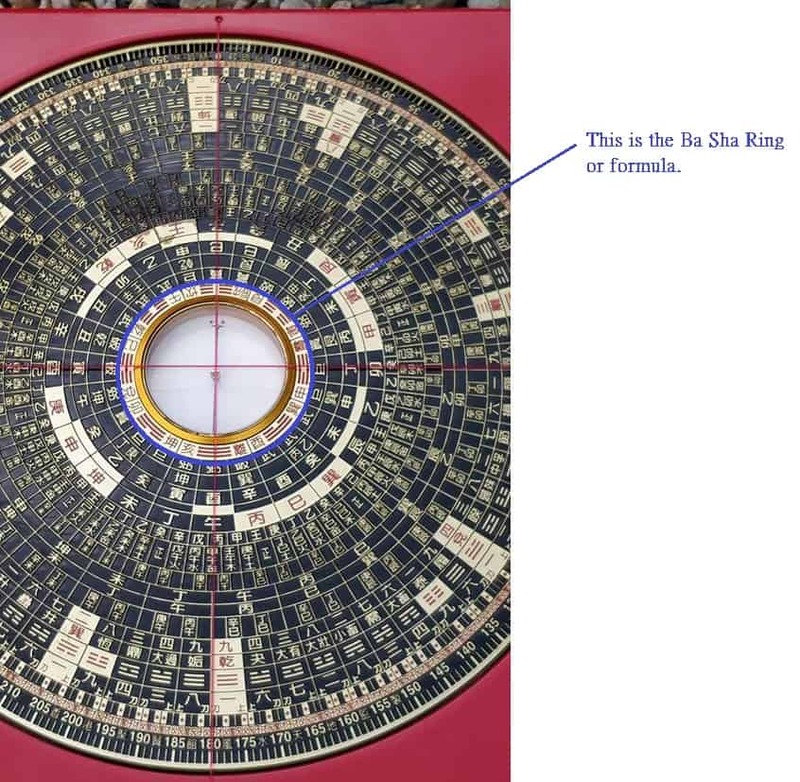 The San Sha can be also applied to Date Selection in Feng Shui too. In traditional Feng Shui, there is also another Shaqi even worse than San Sha. It is called Feng Shui Ba Sha (8 煞 or 8 Killings). If a house happens to have this Ba Sha Feng Shui configuration, it brings lawsuit, injury and sickness to the occupants. You may ask which occupants may get these issues. The answer is simple. The occupants’ birth year or animal sign relates to the Ba Sha sectors. For example, Sitting Zhen Gua (East), the Monkey sector is the Feng shui Ba Sha. So if a person born in the year of the monkey and happens to live in this house. This Monkey person will get a lot of troubles from every direction of his/her life. The Tigers, Rats and Dragons are most likely to be affected too. Of course there are levels of different impact. in the order of impact, Monkey, Tiger, Rat, Dragon and Snake. Feng Shui Ba Sha in Chinese was written into a poem. Sitting Kan Gua(North), the Dragon sector is the Ba Sha. Sitting Kun Gua (Southwest), the Rabbit sector is the Ba Sha. Sitting Zhen Gua (East), the Monkey sector is the Ba sha. Sitting Xun Gua (Southeast), the Rooster sector is the Ba Sha. Sitting Qian Gua(Northwest), the Horse sector is the Ba Sha. Sitting Dui Gua (West), the snake sector is the Ba Sha. Sitting Gen Gua (Northeast), the Tiger sector is the Ba Sha. Sitting Li Gua (South), the Pig sector is the Ba Sha. In Yuen Gua San Yuen Feng Shui system, 元卦三元風水系統，There is True and Fake Ba Sha. In other words, the true Ba Sha brings in a lot of troubles. I recently inspected feng shui of a house. The house is sitting West. (Dui gua). The entrance is at the Snake sector. According to the Ba Sha Poem, Sitting Dui Gua (West), the snake sector is the Ba Sha. So is this really Ba Sha? From the Yuen Gua San Yuen Feng Shui point of view, this is not a real Ba Sha. It is a fake Ba Sha. Such configuration, it converted the Sha to power. The Snake sector refers to year of 2013 (time and space). I asked the owner of the house, you had a promotion in 2013 (year of the snake). She said yes. She also said that her career advanced every two years. Some Feng Shui Compassed has built in the Ba Sha Formula. This is my compass. it has built in Ba Sha formula. If you come and learn the feng shui from me, The Yuen Gua San Yuen System, I will show you the technique behind.